Razor Leaf deals damage and has an increased critical hit ratio (1⁄8 instead of 1⁄16). Flip a coin. 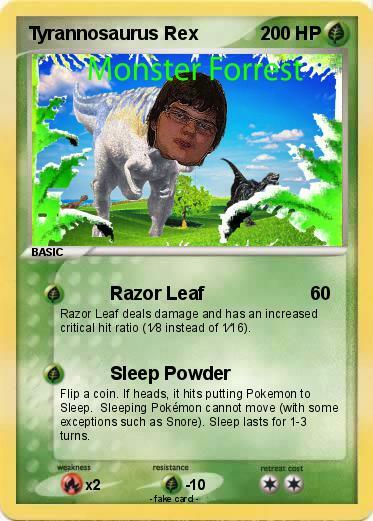 If heads, it hits putting Pokemon to Sleep. Sleeping Pokémon cannot move (with some exceptions such as Snore). Sleep lasts for 1-3 turns.